Get messy at Jasper White's Summer Shack all year round! Jasper White, world-renowned chef and cookbook author, brings his extensive knowledge of seafood and New England fare to the Summer Shack, nominated by the James Beard Foundation as one of five Best New Restaurants in America. For a casual night out with terrific food, Jasper White's Summer Shack offers the freshest seafood available including his famous pan-roasted lobster, hearty chowders, grilled fish, award-winning fried chicken and even corn dogs for kids. The Summer Shack also offers smashing crab parties and clam bakes for large groups. "With the best lobster and corn dogs in the land, the Summer Shack is a family favorite." 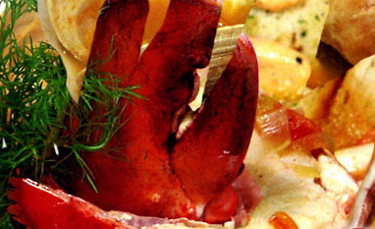 "...a Maine lobster shack on steroids." "...the basic steamed lobster is a beautiful thing." "If it is a big red bug you're looking for this is the place."